You are looking for a new flying environment? You are considering club membership, but do not know, whether we are the right club for you? You are required to pay up front admission and annual membership fees and are not sure, whether you would be comfortable with us? Perhaps you've got already a homebase, where you would like to stay, but they do not offer training for the kind of rating you are after? Then we just have got the right deal for you: Our "test membership". For additional information simply follow the link here. In February 2017 we did boost our fleet with a factory new Tecnam P2002JF (VLA) to provide you with the most modern aircraft in combination with the fuel efficient Rotax powerplant. Continuing into 2018 we again offer attractive opportunities to build experience and gain flying hours: As a fully paid up club member, you are entitled to benefit from our highly competitive "Ecoflyer Card". With purchase of this card you will be able to fly our modern microlights, starting from as little as 39 € (per hour, including fuel and VAT) as well as our other single engine aircraft starting from 76 € (per hour, including fuel and VAT). For details about the tariffs please click here. Learn to fly? In Günzburg! Why flying? You may think: That's not very exciting, because everyone has been on board of a commercial airliner, most likely by scheduled or charter airline to a vacation destination. But flying yourself is something entirely different: Flying in an airliner compared to small airplanes is like riding by coach compared to motorbiking. 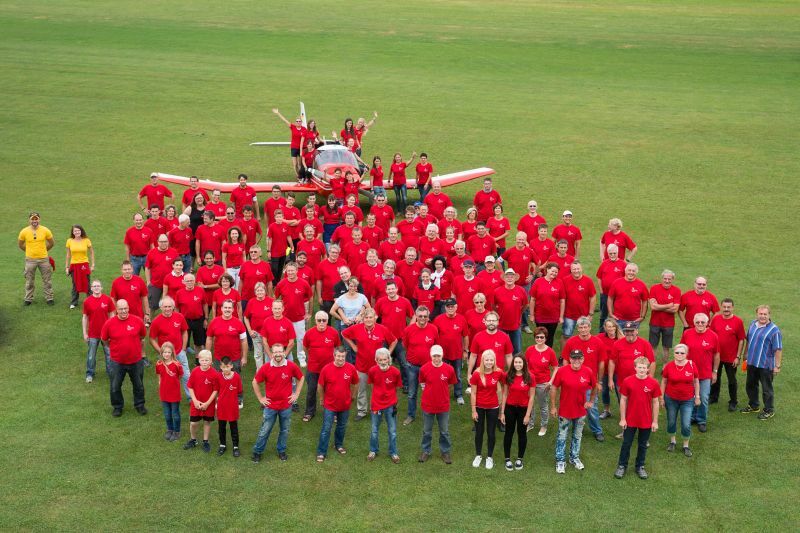 Would you like to tour all of Europe with an airplane without being held up by traffic jams and boring delays? Get in touch with us and treat yourself to an introductory lesson! We'll show you the ropes, you have the fun!